Explore fieldwork opportunities on the map or search fieldwork using the form below. 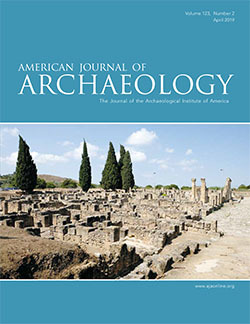 Please note that the Archaeological Institute of America does not sponsor excavations, and inclusion in this online database does not imply Institute sponsorship or endorsement of any listed project or guarantee the accuracy of the information supplied. The editors and the AIA accept no responsibility for any loss, injury, or inconvenience sustained by anyone using this resource. Fieldwork opportunities are submitted by project directors or staff members. The AIA does not sponsor any of the projects. When evaluating a project, be sure to contact the project director or designated contact with any questions you might have about conditions, travel, logistics, local environment, etc. Don’t hesitate to ask for specific details about the projects or for references from previous participants or colleagues. If you are still unsure, ask your own instructors and/or professors to help you evaluate and select a project that will be of the greatest benefit to you. The AIA reserves the right to remove any postings that it determine are inappropriate.